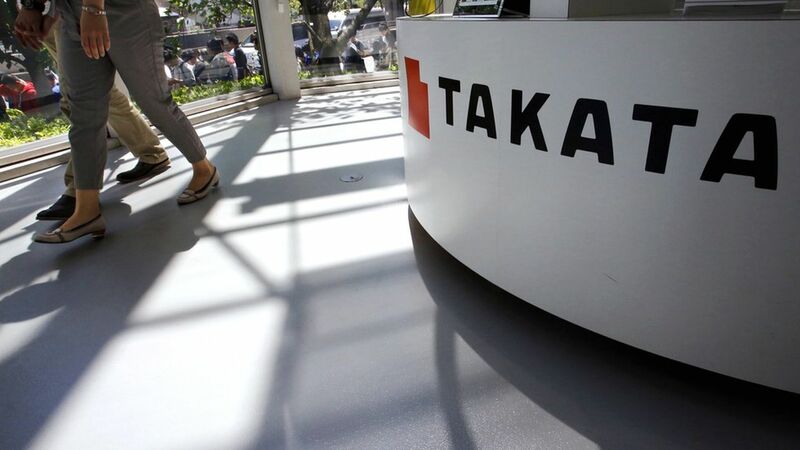 Auto parts maker Takata pleaded guilty Monday and will pay $1 billion in criminal penalties for a crime related to the company's manufacture of defective airbags, which are linked to 11 deaths and hundreds of injuries in the U.S. The Japanese firm has taken outside investment from a rival and is considering bankruptcy. Plaintiffs lawyers are also suing auto manufacturers like Toyota and Ford, alleging they installed Takata airbags in their cars despite being aware of the dangers they posed. Let the renegotiations begin: The Senate confirmed Commerce Secretary Wilbur Ross Monday evening, meaning that the turnaround specialist can finally get to work renegotiating NAFTA. The Trump Administration, however, is hasn't been clear on what exactly it wants to accomplish by the talks. Investors eye Trump speech: Pantheon Macro's Ian Shepherdson sees a growing conflict between the Trump White House and Congressional budget hawks. The president talks tough on the deficit, but early signs point to his pushing higher deficits to make good on his promise to cut taxes and protect entitlements. Stock markets will love an endorsement of this strategy during tonight's speech, but Shepherdson argues Treasury bond markets "will take fright" at the debt such a strategy would accrue.